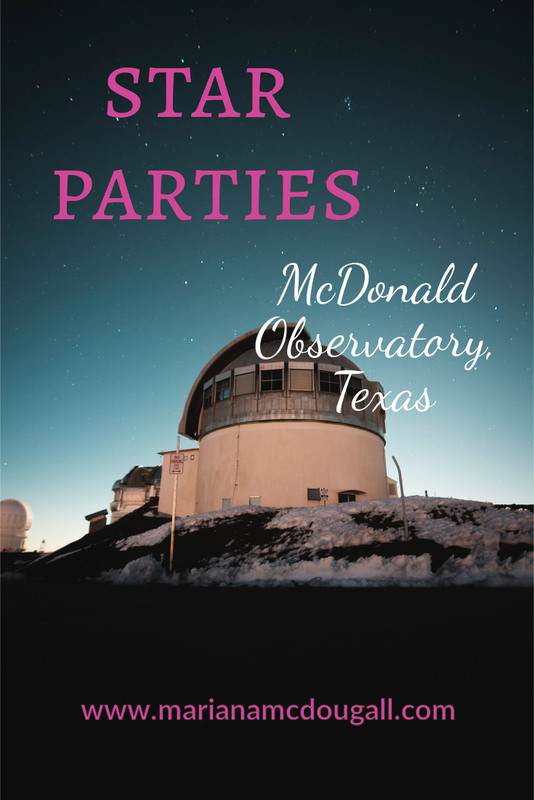 One of my fellow Putty Tribe members had recommended we check out the McDonald Observatory in Texas, where you can go to a “Star Party” and look through their giant telescopes. I read some more about it, and it sounded like a really neat thing to do, both for us as well as for the kids. So after a lovely time in Alpine, Texas, and Davis Mountain State Park, we headed to Jeff Davis County. Since the Star Party didn’t start until the evening, we got some school work done, and then headed to the library. It just so happened that we arrived just in time for the homeschoolers’ story time. Homeschooling in Texas has been growing in popularity, and we have visited several libraries with programs specifically catered to homeschoolers in the state. The Jeff Davis County Public Library had wonderful, friendly staff and volunteers, and the art on the walls was gorgeous. I had to get some printing done for work, and the staff was very helpful in trying to help me connect my laptop to their printers (but the prize goes to Dan for figuring it out). After a lovely time at the library, we headed to the observatory, and our old RV struggled to get up those hills, but we made it, all the while with amazing views. After driving through beautiful mountains, we finally arrive at McDonald Observatory. There’s lots of time before the Star Party begins, so we look around at the displays and gift shop. The displays tell the story of astronomy and the important people, both women and men, who advanced the science. It’s refreshing to see women recognized for their contribution to astronomy. Some displays explain the concept of spectrum, others offer information on the heat given out by stars and how colour relates to their temperature, and more. Most of the displays are interactive, and all of them are extremely informative. Because there are clouds in the sky, we don’t get to look through the telescopes right away. 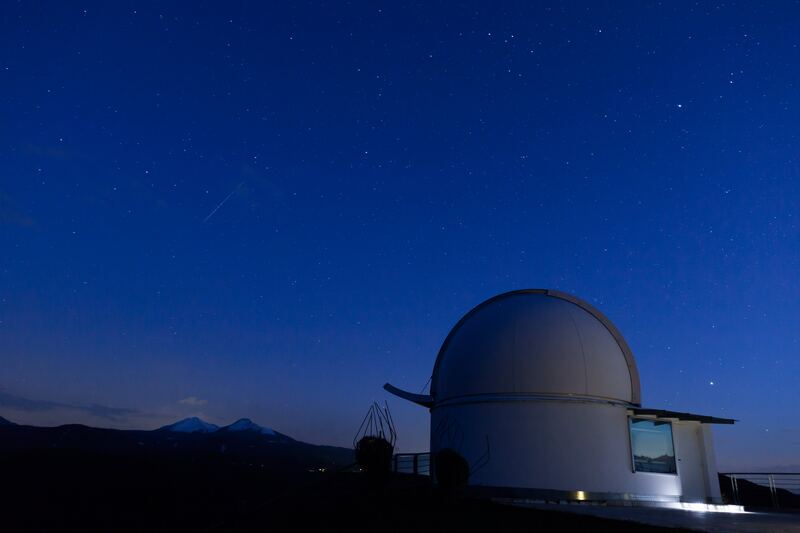 The observatory offers three options on nights like these: The first option is indoor programming to replace telescope viewing, with the hope the clouds will move off before the end of the evening and telescope viewing will still happen. The second option is an “exchange” for a different evening. You get your tickets back and return on a different day. Finally, they also offer a full refund, minus a $3 administration fee. I’m pleased with how flexible the observatory is, but we decide to stay for the indoor programming, which turns out to be excellent. The first presentation is about constellations, and the presenter is very knowledgeable and funny. Our kids are the youngest people there and do pretty well, considering the length of the presentation. After this first look at constellations on a screen, we do get to go outside and look through the telescopes. The kids really enjoy this part. 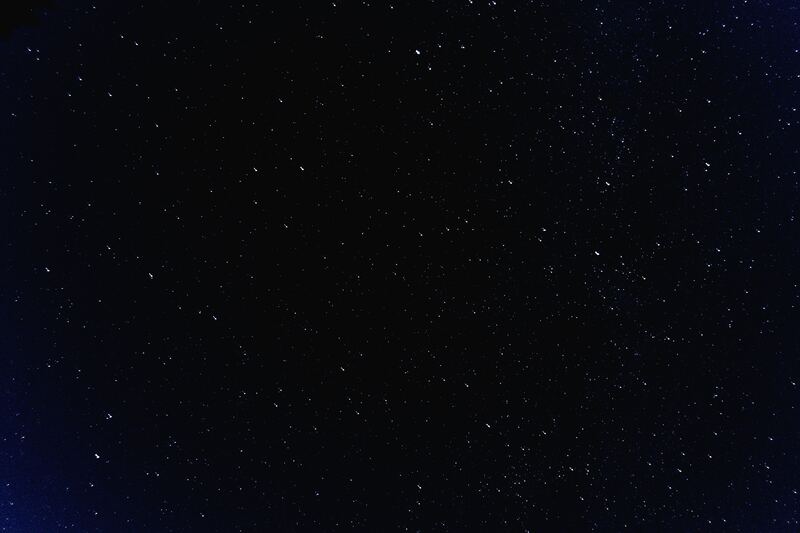 I wish I had on my proper prescription glasses, because the stars in the sky are beautiful, but they’re blurry. After looking through several telescopes (I think there are 5 of them), we return to the the theatre for one final presentation, this one about spectrum. The presenter does several demonstrations with different gases, and we are able to see the different spectra they cause by looking through a small device that almost looks like an old photo slide. The kids enjoy it, and so do we. At $40 for the whole family, this is a wonderful, educational outing worth doing. We learned a tonne, and it was pretty neat to be able to look through some really high-end telescopes. Something else I learned is that my hometown is one of several places involved in building what will be one of the most powerful research telescopes in the world. Before leaving, we took another peek in the gift shop. We didn’t make any purchases, but my favourite thing I saw there was a book called “Twinkle Twinkle, Little Star, I Know Exactly What You Are.” It’s a really neat book explaining facts about the stars. It’s definitely meant for an older audience, but it would still be a great addition to any home library. 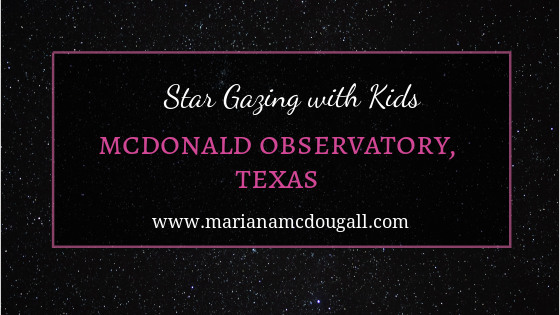 We really enjoyed our time at McDonald Observatory, and highly recommend the Star Party to anyone with even a slight interest in astronomy. Oh, and on a somewhat related note, our kids and I have been slightly obsessed with The Solar System Song for almost a year now—and even my 4-year-old can rhyme off the names of the planets and their order because o fit. Worth checking out.